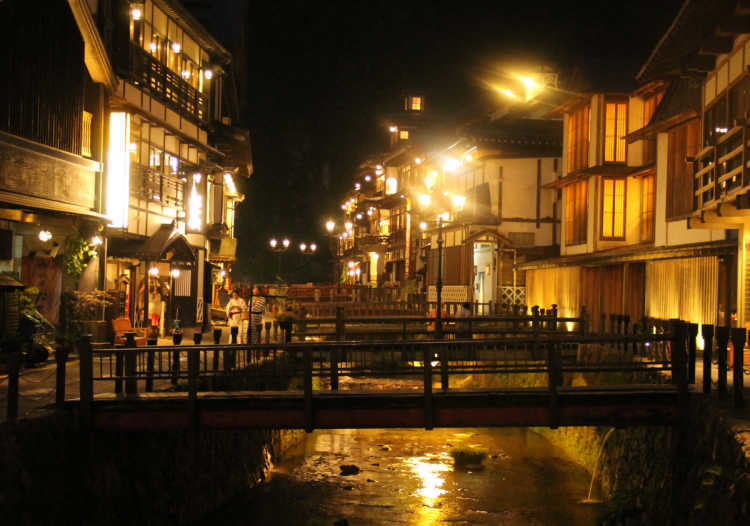 Some Japanese wooden hotels stand along the Ginzan River and there are a lot of atmosphere in Ginzan hot spring town. After sunset, people wearing yukata walk here and there in the town lightened by gas lamps. You can feel the mood of the old period as if you go back in time. 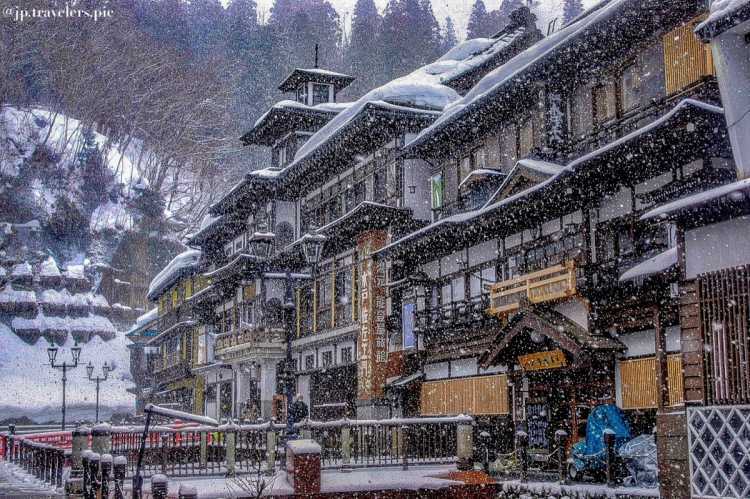 Ginzan Onsen hot spring has a nostalgic townscape like you go time travel in romantic Taisho Period because it has 500 years history as an onsen town. 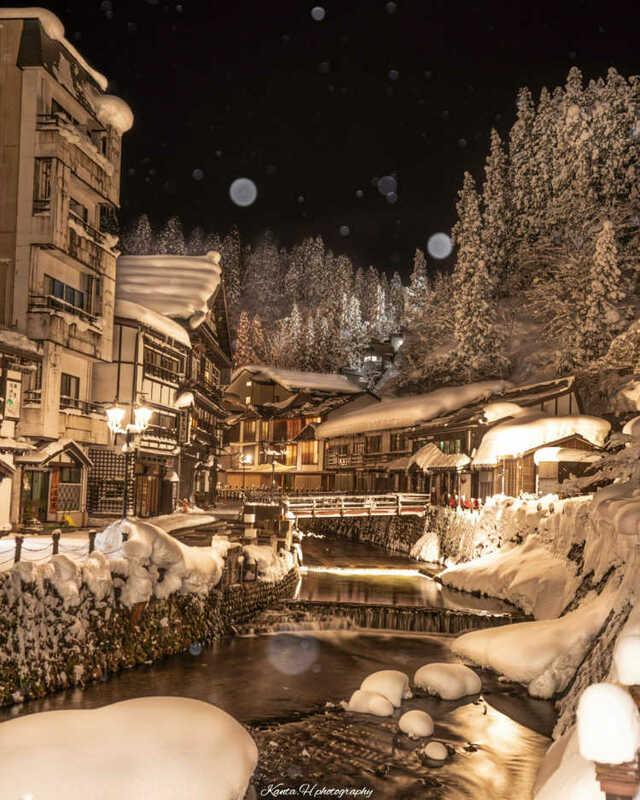 There're some onsen facilities you can use without staying for the night!